Dr Peter Hsu, and his research team, has been awarded the AIFA Early Career Researcher Grant to explore the development of the immune system in childhood. 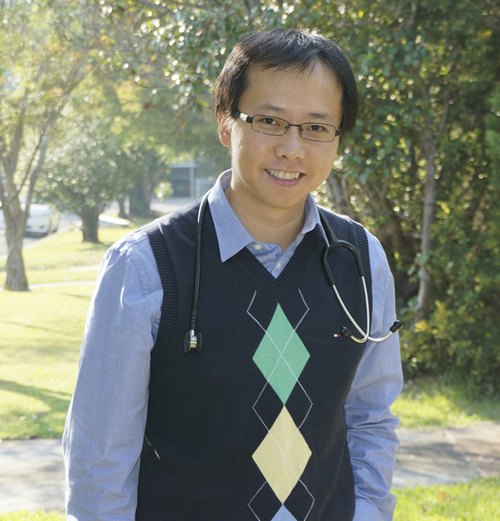 Dr Hsu has completed his PhD in how the immune system is regulated to accommodate the baby in human pregnancy. This project will look at how the regulatory part of the immune system may develop in healthy children, and then examine how this process may be disturbed in children with allergies. "Funding from AIFA will greatly facilitate the completion of this project", he says. Dr Hsu's team includes Professor Dianne Campbell and Dr Melanie Wong from the Children's Hospital at Westmead and Professor Ralph Nanan from the Nepean Hospital. AIFA aims to encourage new research from future leaders like Dr Hsu who aim to find more strategic approaches to the prevention and treatment of allergies.